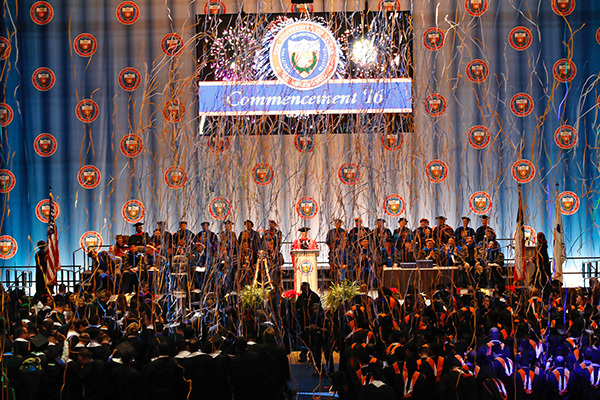 Pomp and circumstance were on full display Thursday-Saturday at commencement ceremonies in College Park Center. See more photos. The Mavericks men’s basketball team has soared to a No. 3 ranking in the CollegeInsider.com poll of mid-major colleges in the nation following a first-ever victory over a Top 25 team. The Mavericks trail only Gonzaga and Wichita State in that mid-major poll. UTA also is ranked No. 18 in the NCAA’s 2016-17 Ratings Percentage Index rankings. UTA is 9-3 overall after winning 56-51 over Bradley on Friday in Peoria, Ill. 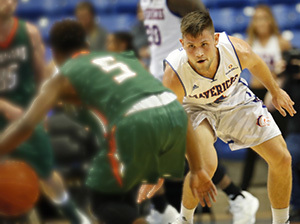 The Dallas Morning News also praised the Maverick men's basketball team. See the Mavs' and the Lady Mavs' schedule and news at utamavs.com. LEARN MORE. The College of Nursing and Health Innovation will offer five of its graduate nursing degrees online beginning in spring 2017, a move that is expected to significantly expand opportunities for registered nurses to enhance their careers. The degrees include four master’s and one doctorate. LEARN MORE. Winter Break hours are online for Dining Services, the E.H. Hereford University Center, the Maverick Activities Center, the UTA Bookstore, UTA Libraries, and the Planetarium at UTA. Blackboard will be unavailable from 3 p.m. Tuesday, Dec. 27, until 11 a.m. Wednesday, Dec. 28, for critical maintenance. Save your work and log off before 3 p.m. Dec. 27. Questions? Contact the Center for Distance Education. 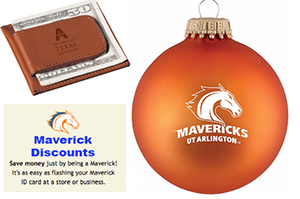 Include some Maverick spirit this holiday season. Go to utagear.com for Maverick sports-themed items, including apparel, hats, drinkware, office essentials, bags, golf supplies, tailgating accessories, and more. The UTA Bookstore has everything from clothing and electronics to popular books and plush toys. Take advantage of the Maverick Discount Program, which offers deals both in stores and online. This will be the final issue of TrailBlazer before the holidays. TrailBlazer will resume Tuesday, Jan. 17. Send your stories or pictures to trailblazer@uta.edu to be considered for publication. Find previous issues of TrailBlazer in the archives at uta.edu/trailblazer. Tuesday, Dec. 20—Census date for winter intersession. Thursday, Dec. 22–Monday, Jan. 2—Winter Break; no winter intersession classes; University closed. Monday, Jan. 16—Martin Luther King Jr. holiday; University closed. Tuesday, Jan. 17—First day of class for spring semester. Friday, Dec. 23–Sunday, Jan. 1—Winter break; University closed. Thursday, Dec. 29—Women's Basketball vs. Appalachian State. Saturday, Dec. 31—Basketball Doubleheader: Lady Mavs and Mavericks vs. Coastal Carolina.